This August, Civil Rights leader and U.S. Representative John Lewis will be publishing a graphic novel memoir through Top Shelf. 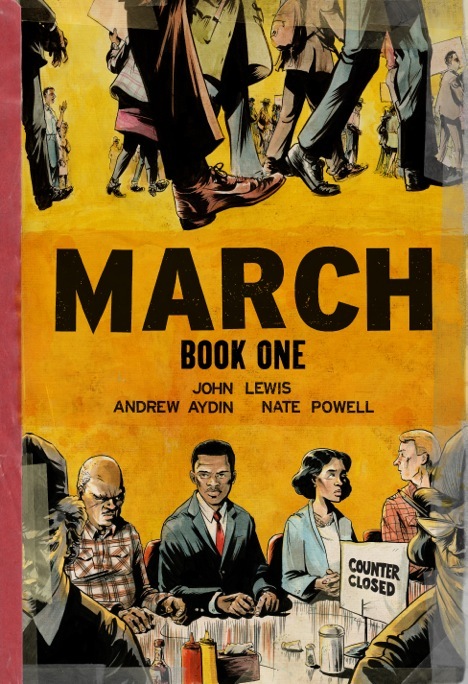 March: Book One, coauthored by Andrew Aydin (Lewis’ Telecommunications and Technology aide) with art by Nate Powell (Swallow Me Whole), marks the first time a graphic novel has been written by a sitting Member of Congress. Lewis’ contributions to the Civil Rights Movement have been monumental. In fact, his acts of civil disobedience were so prolific that they would result in him being jailed 40 times over the course of the movement.